Established in 2011, Boylo's is an independent watersports business which aims to meet all your watersports needs. Based in the beautiful Lyme Regis in West Dorset, we supply everything from Stand Up Paddle Boards to wetsuits, nautical gifts and beach accessories to clothing, from brands including Billabong, O'Neill, Red Paddle Co. and C-Skins. If we don't stock it, we can try and get it for you. Don't hesitate to contact us at our store on Lyme Regis seafront where one of our team members will be happy to answer any questions. 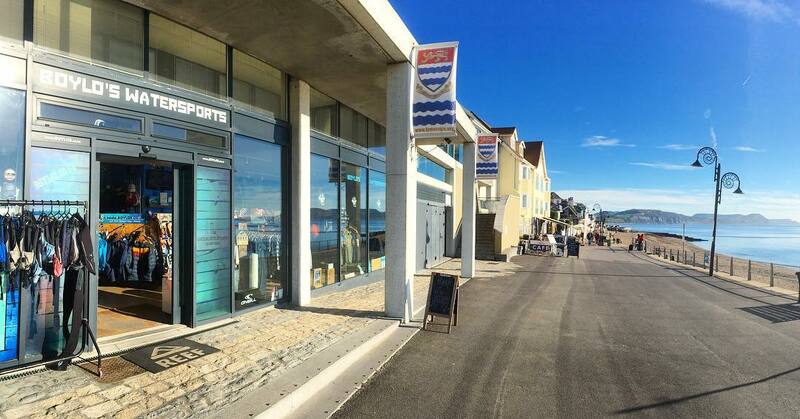 If you're headed our way, be sure to pop in for a chat or try out our fantastic SUP lessons during the summer season! Check out our video below to get a flavour.